They are made from basic lumber-yard 2×4 material and they are mortise-and-tenoned together for strength. The tops are removable so that you can just screw the strongback right onto the hoses as above and not worry about them being “sacraficial”….just replace the tops after they get too chewed up. I am going to make the sling accessory as described on the CLC website for them so that I can now use them to gently hold the finished boat for servicing, etc. 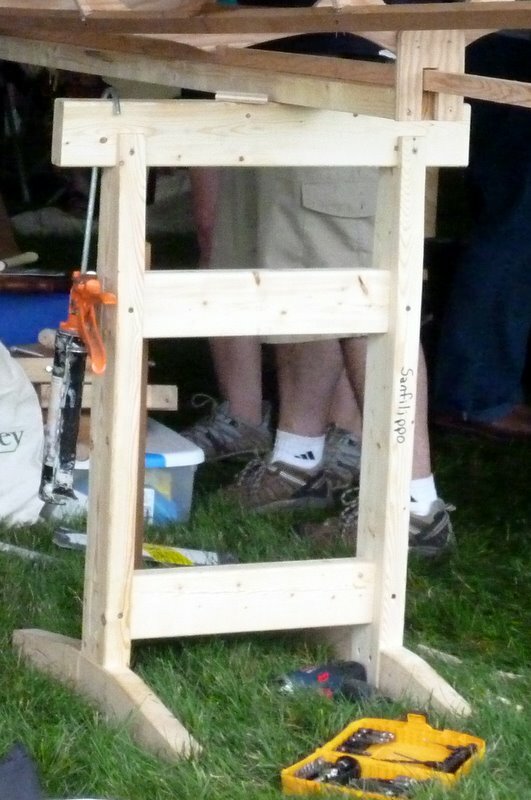 Posted on July 22, 2011, in Kayaks & Boats, Woodworking. Bookmark the permalink. 1 Comment.